Another January has come. And in the movie world that means something. To most critics and jaded moviegoers, January is known as the dumping ground for the worst theatrically released films of the year. I think the theory is that if the studios really thought the film was any good they would've pushed it for a release before year end so it might be eligible for awards. But the thing is, movies like The Commuter wouldn't win any awards even if it were great. And increasingly so, January films aren't always bad. They're just not pretentious films that have been flooding art house cinemas for the past four months. And maybe that flood of prestige films is why this movie felt so refreshingly enjoyable. It's Liam Neeson back doing the kind of films Liam Neeson does better than anyone. 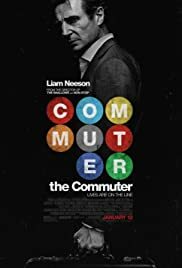 This time he plays an insurance salesman struggling to make ends meet, when an intriguing woman makes him an offer he can't refuse on his regular commuter train ride home. And then mystery and action ensue. Who is this movie for? I have no doubt a lot of critics will pan it. But I really enjoyed it. And if you liked other Neeson films like Non-Stop (with more mystery, but also some action) you'll like it too. Critics' Choice Awards - This Thursday 1/11/18! My duty is done. I've seen all the films of any consequence from 2017 and just submitted my votes for The 23rd Annual Critics' Choice Awards. Now, be sure to tune in to the show live on The CW Network this Thursday, January 11th at 8PM ET/PT!